You can order this artwork as a print-only option. However, why not take advantage of our framed options and ensure the best possible viewing experience - hassle free. 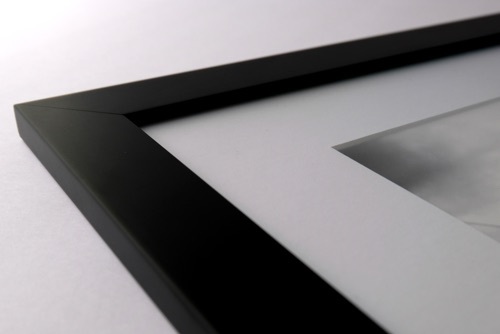 Both our framing options, The subtle: Flat Black and The natural: Solid Oak have been carefully chosen and crafted to ensure the most appropriate viewing experience, complementing and enhancing your new artwork. With everything you need being included, now you can focus on what really matters most - finding that truly perfect spot for your new artwork. This frame features a 30mm wide Black Flat moulding manufactured out of Ayous with a Paint finish. NOTE: All sizes are displayed in mm and are approximate. 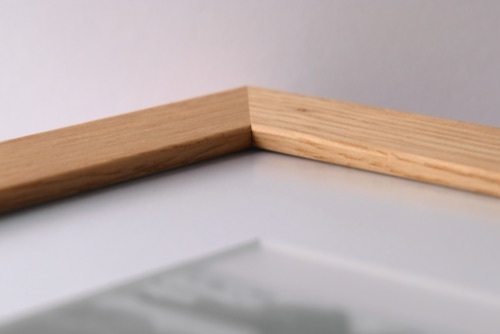 This frame features a 34mm wide Natural Wood Flat moulding manufactured out of Solid Oak with a Barefaced finish. Your new artwork is a truly special, unique and rare piece of art. It is part of a limited edition print-run totalling 12 editions. You will be getting your unique edition signed by the artist and accompanied by a certificate guaranteeing it's authenticity. Your certificate and artwork will be identifiable through their unique artwork number (signature), which you - and only you - will be the owner of. The certificate will contain specific and detailed information about the artwork, the print-run and the printing process and will be signed and certified by the artist. In addition, every edition will be entered into the artist's digital registry. This register is accessible to anyone to further guarantee the uniqueness, value and quality of the artwork. Delivery is FREE on all orders shipped within UK mainland. A delivery fee will apply if shipping to Northern Ireland or remote parts of the UK. As all our prints and frames are made to order, we aim to dispatch your purchase in 4 to 7 working days (please allow up to 10 days). Your purchase will be delivered by courier and tracking information will be provided. We will also keep you updated regularly on the status of your order. Note: Your printed artwork and/or frame option may vary slightly in colour, temperature, contrast or brightness when compared to the digital images shown here. This is normal and is due to the way your display equipment interprets the digital representation of 'real life' products.